In its latest report to UNHRC, the Office of the High Commissioner of Human Rights had demanded a hybrid court comprising Sri Lankan and foreign judges to try war crimes cases. 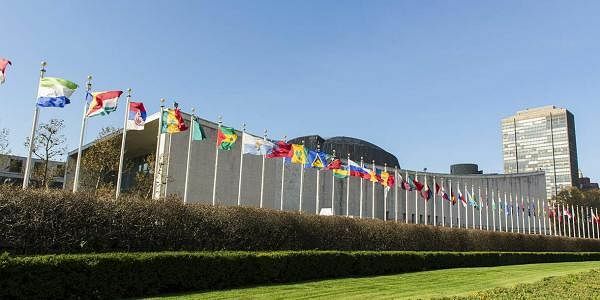 COLOMBO: Sri Lanka believes that the UN Human Rights Council’s resolution on it, to be passed at the end of this month, will not force it to accept adjudication by foreigners in war crimes cases. It is true that in its latest report to the UNHRC, the Office of the High Commissioner of Human Rights had demanded a “hybrid court” comprising Sri Lankan and foreign judges to try war crimes cases pertaining to the 2006-2009 war to annihilate the separatist Tamil Tiger rebels. But the up-coming resolution, to be co-sponsored by the US and Sri Lanka, is expected to be a “roll on” resolution, essentially based on the October 2015 resolution, which was also co-sponsored by Sri Lanka. And the wording of that resolution is such that it could be conveniently interpreted by Sri Lanka to avoid having foreign judges, informed sources told Express on Saturday. The 2015 resolution had called for “participation in a Sri Lankan judicial mechanism, including the special counsel’s office, of Commonwealth and other foreign judges, defense lawyers and authorized prosecutors and investigators.” However, Sri Lankan sources note that the court will be a “Sri Lankan mechanism,” essentially a domestic court. The significance of this description was brought out by the UN Human Rights High Commissioner Prince Zeid himself during a visit to Sri Lanka. Zeid told newspersons that, being a sovereign country, it is Sri Lanka which will determine the nature of the judicial mechanism. Secondly,it is pointed out the phrase “participation of Commonwealth and foreign judges” need not necessarily mean that they should adjudicate or give judgments. Foreign judges could participate in a judicial mechanism in a variety of ways. Sitting in judgment is only one of them. They could act as advisors, experts on international law and judicial procedures or could monitor the proceedings. In fact, in the past, foreign judicial luminaries, including a former Chief Justice of India, Justice Bhagwati, had overseen the work of Presidential Commissions of Inquiry at the invitation of the Sri Lankan government. Foreign Minister Mangala Samaraweera had told the Foreign Correspondents’ Association here recently that while foreign judges could participate as experts, they could not be adjudicating as Sri Lankan law does not permit foreigners to be adjudicating persons in the country. Prime Minister Ranil Wickremesinghe said on Friday that inducting foreign judges is “not practical”. President Maithripala Sirisena has declared several times that there is no question of allowing foreign judges. If the report of the UNHRC on Sri Lanka called for a “hybrid court”, it was because the UNHRC is a human rights organization par excellence and is duty bound to put forth the ideals and set standards. But these ideals may not be implementable immediately, and the members of the UNHRC know it. It is also pointed out that the term “hybrid court” is not very clearly defined. There have been several hybrid courts, but there is no standard hybrid court as such. Hybrid courts usually apply a mix of national and international law, both procedural and substantive, and feature a blend of international and national elements, including international and national judges and staff. Sri Lankans also point out that the much vaunted hybrid courts have not been an unmixed blessing. “The hybrid court on the Cambodian killings took 15 years of toil to come up with three convictions,” a Sri Lankan peace activist, who did not want to be identified, said derisively. By passing a “roll on” resolution giving Sri Lanka two years to fulfill the pledges made in the October 2015 resolution, the UNHRC will be pleasing all sides. “While the Sri Lankan government will be happy that it is getting more time to fulfill the existing pledges, with no additional demands made, those pressing for strong measures will be satisfied that the resolution has not been watered down in any way,” the activist said. If members of the UNHRC are going to be soft on Sri Lanka it is because the most important countries in it, such as the US. UK and India, want the present relatively moderate and accommodative government in Sri Lanka led by President Sirisena and Prime Minister Wickremsinghe, to survive the challenge posed by the hard line and pro-China opposition led by former President Mahinda Rajapaksa. “The additional factor is that fatigue has set in foreign governments as regards the Sri Lankan human rights problem. These powers are drawn to other issues in Sri Lanka such as economic development through trade and investment. And there is concern over the increasing Chinese footprint in the island,” a diplomat observed.